Both Seattle and Tennessee lost Week 1 games to tough opponents, then both recovered to win in Week 2. One team features a smashmouth run attack that wants to control the clock and let their star mobile QB make plays – and the other team is Seattle. The Seahawks offense has done almost nothing so far, and the Titans saw a couple star offensive players banged up. This game could be an ugly, low-scoring affair with little fantasy production, but will anyone stand out? Tennessee allowed the fourth most passing yards in 2016, but they’ve been better this year and Russell Wilson has struggled mightily. Wilson has only 356 yards and one TD in both games. He’s got some upside here but you might want to wait until the Seahawks offense ignites. Carson is a hot waiver pickup this week and should be. It only took the rookie a game and a half to take control of the Seattle running game. But the Titans were one of the league’s fiercest run defenses last season in both yards and TDs allowed, so this is not the week to use Carson yet. Baldwin has struggled with only 107 yards so far, but this could be a chance for him to break out. 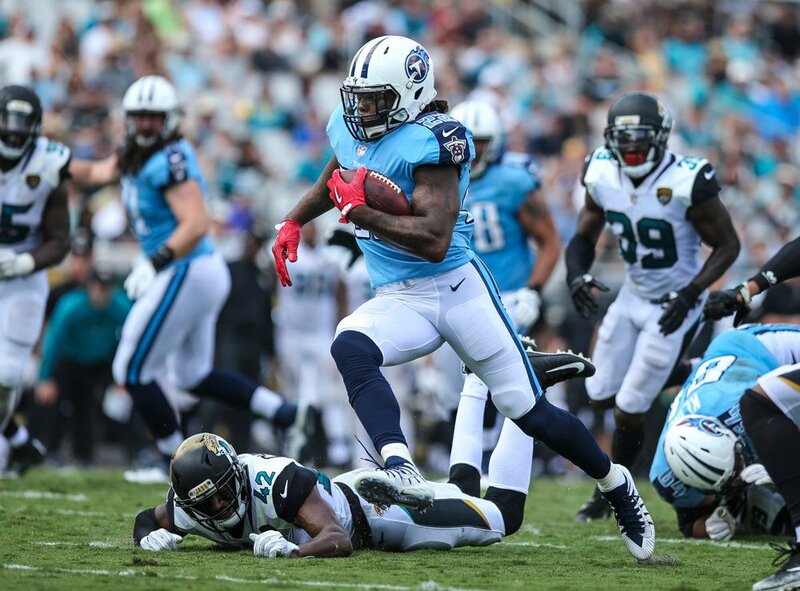 The Titans allowed the second most points to WRs last season and have already given up good fantasy games to Amari Cooper, Allen Hurns, and Marqise Lee. Lockett saw his snaps jump from 26 to 61 in Week 2 and saw nine targets and five kick returns, so he finally appears to be healthy. He’s a flex option and a must own, especially in leagues that count return yardage. Graham has been a monster bust with nine yards so far, and he missed part of last week injured too. The Titans have only allowed 56 yards to tight ends. You may not have a better option, but you should consider one if you do. Mariota has thrown only one touchdown this season, and Seattle has long had one of the league’s most dominant pass defenses. Mariota should still come around, but this is not the week to roll him out there. Both Murray and Davis reinjured their hamstrings in Week 2, injuries each had sustained during the preseason. Hamstring injuries tend to be day-to-day so Murray and Davis could sit and probably should ride your bench until they’ve recovered. With Murray likely hampered by injury or out, Henry looks like he should get a lot of work, and he’s looked great so far, leading the league in yards per carry. This is his chance to prove he deserves a bigger role. It’s tough sledding against Seattle but he looks like a strong play. Decker and Matthews have split snaps and targets evenly so far, so it’s difficult to know which one is ahead in the pecking order. Seattle allowed the third fewest passing touchdowns in 2016, so you may want to avoid both this week until we know more. Delanie Walker continues to produce and even got a rushing TD in a one-yard sweep last week, but Seattle was top five against tight ends last year so don’t expect a big week.